Sicily is a major Mediterranean island off the “toe” of Italy’s boot. The island has a rich historical and cultural heritage, with monuments and destinations such as the Valley of the Temples. Another site that you must visit is Cappella Palatina with its mosaics and frescoes. If exploring natural wonders is more your thing, you can also trek along Mount Etna, which is a vast active volcano in the eastern part of Sicily. Because Sicily is such a thriving island, it’s full of some beautiful resorts that you can visit. Below we’ve listed out the top 15 for your choosing. The Belmond Villa Sant’Andrea is a resort located on its own private stretch of beach, and it’s surrounded by beautiful green gardens. You can even go to the town of Taorima in cable cars, which is perched on a hill and looks out at the Mediterranean Sea. This resort is a part of two resorts that are connected by a shuttle service. The sister resort is Belmond Grand Hotel Timeo, which is another beautiful resort for you to spend your vacations in. The resort’s shuttle service can also lead you to the town of Taorima with its theaters, offering a stunning panoramic view of Mount Etna and the Mediterranean. The resort was built in 1830, and it was originally intended to be a private villa. Even after it was turned into a resort, the owners took care to retain the essence of a residential property, so that the guests feel more at home in it. The decor of the resort is very French and contemporary, and it offers some great views of the surrounding seas. The resort also comes with a restaurant and a bar, and both of them feature floor-to-ceiling windows so that there’s plenty of natural light in the resort at all times, and so that you always feel like you’re on the beach, even when you’re indoors. This resort also offers a heated swimming pool for use, and yoga classes in the mornings. The beach is privately owned and as such it’s of top quality, offering water activities such as paddle boating, kayaking, etc. You can even get an open air massage in one of the resort’s gazebos which serves as a spa. The Belmond Grand Hotel Timeo is the sister property to the previously mentioned resort and as such it’s equally attractive and luxurious. However, it’s located in a different area and thus attracts a different crowd. This resort is close enough to the sea, and there’s a shuttle service which can take you to the private beach adjoining the other Belmond property. As such, you’re well connected to the beach, however this resort is for those who prefer to be in the city. The Greek theatre is right next door to the resort, and it has some of the most stunning views in all of Sicily. The resort has bars and restaurants with floor-to-ceiling glass windows, and this offers the guests a grand panoramic view of the volcanic coastline, Mount Etna, and the Mediterranean. It’s a sight unlike any other. 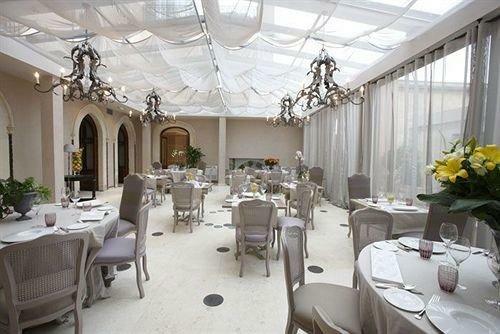 Aesthetically, the resort has been designed in a classical vein with elegant decorations and neutral color palette. The best suites in the resort are the Double Classics and Superiors. These are especially favorable as they have an antique feel about them. If you’re looking to participate in water activities, you can take the shuttle service to the Belmond sister property. You can spend the whole day lying on the beach loungers in the private beach, or you can go snorkeling, paddle boating, kayaking, etc. The waters here are crystal clear, so much so they sparkle against the sun. The Hotel el Jebel is located in the center of Taormina, and it enjoys a stunning view of the Bay of Naxos. If you’d like to explore some of the sights, you can go check out the Cathedral of the Pearl of the Ionian Sea. This is a true luxury resort, and it’s located in a position such that all the artistic, cultural, and historic heritage of Sicily is concentrated around it. Taormina is the cultural center of Sicily for good reason, being surrounded by art and culture, and a short downward descent from the sea. This city also happens to be a favorite romantic destination amongst filmmakers. The resort itself has been designed in a Catalan Gothic aesthetic style, and you can look out at the Bay of Naxos from it. The resort comes with a beautiful terrace from which you can look at the Mediterranean or at Mount Etna. The rooftop also has a lovely whirlpool tub, and a garden. The resort also features a jacuzzi and a Turkish bath. In addition to that, the service in the resort is impeccable and you can find most of your wishes fulfilled without much of an effort. This is the ideal resort for those who just want to allow themselves to completely switch off. If you’re in need of deep relaxation, you can also avail of their beauty treatments, or you can go to the spa, both of which come with a number of different treatments that can help you relax completely. The Verdura is a charming resort located in a part of Sicily that has as yet been vastly underrated, but they’re changing that. The resort is located in a stretch of land in southern Sicily, and it’s west of the popular Baroque town of Sciacca. The resort has been strategically placed midway between the Greek temples of Agrigento and Selinunte, within 40kms of each other. The resort is located next to a beach that is rocky and a sea that is strewn with sea-weeds. However, it’s a good location to take long walks in the evening. This resort has been designed in a manner that it feels Mediterranean but adheres to certain modernist elements. The suites in the resort have a way of merging with the slope which leads down to the beach, and the spa is extremely minimalist in nature. The interiors in the resort have been designed in a contemporary style, yet in a manner so that it feels casual and relaxing. The resort spans out over 4000 meters, and it features one of Italy’s three best spas. In fact, most people who frequent this resort do so due to the sheer popularity of their spa. The resort features an indoor spa pool as well, along with four thalassotherapy pools. If you want the best views of the beach, you should opt for the Landscape suites as they’re placed right next to the beach. Amongst the different room and suite types in the resort, some of them are arranged around a courtyard. The Metropole Taormina Maison d'Hotes is located in Taormina’s Corso Umberto, which is one of the prime locations in Sicily, a street flanked by boutique restaurants and cafes. It’s also within close vicinity of the prominent Cathedral of the Pearl of the Ionian Sea, which is one of the biggest architectural tourist hotspots in Sicily. The resort is located next to an old clock tower and it’s on a hill top. However, the beach is just a few minutes walking distance downhill from the resort. The great advantage of being placed up on the hill is that you get a stunning view of the Mediterranean from pretty much all the rooms in the resort. The interiors of the resort have been designed in a classical and elegant style, so as to harken back to the cultural heritage of Sicily, while still being replete with some contemporary touches and conveniences. A short ten minutes walking distance from the resort brings you to a beautiful private beach, which you can enter with a nominal entrance fee. However, the entrance fee is well worth paying because you get access to the spotless sandy beaches, the sparkling waters of the sea, sun loungers that you can use all day, and you even get access to water activities such as snorkeling, kayaking, etc. The resort also has a relaxing spa located in the oldest section of the resort. They offer a number of treatments such as the Hammam, and you can even use the hydro-massaging pool. If you’d like to book a yacht cruise, you can do so from the resort itself. 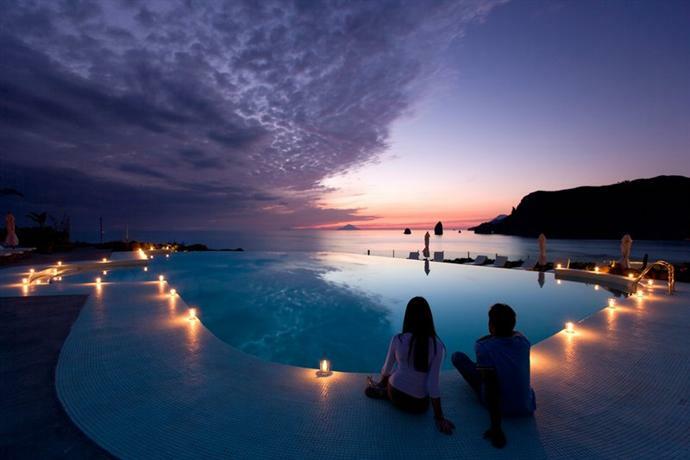 The Ashbee Hotel is a beautiful resort located in Taormina. It’s close enough to the center of town and the Greek theatre so as to be accessible on foot, yet it’s located in a secluded corner of the area so as to be further removed from some of the noise and activity of the tourist hotspot. The resort has been designed in the likeness of a private 20th century villa, which also makes it a lot more intimate than a lot of other resorts in Sicily. The resort is really luxurious and it offers a grand swimming pool, cocktail bar, and rooms with private whirlpool tubs. 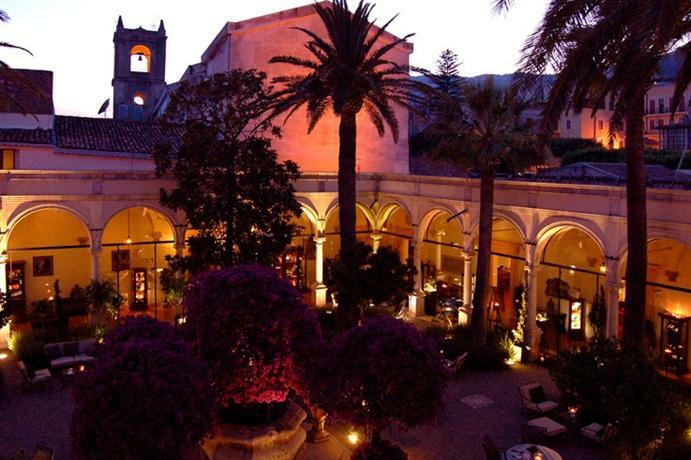 The San Domenico Palace Hotel has a truly unique history. The resort has been constructed over the structure that used to be a Dominican monastery. The rooms of the resort offer unhindered views of Mount Etna and Taormina Bay. This resort is quite removed from beaches, however it’s located on one of the tallest points in Sicily, and as such it has attracted several distinguished personalities and artists. 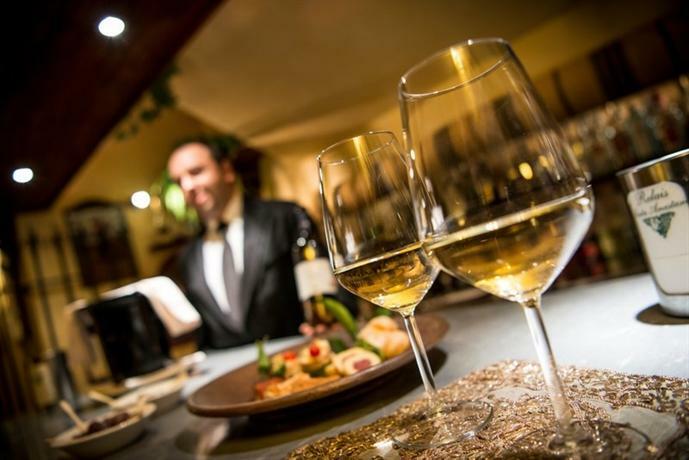 One of the other major attractions of this resort is the Principe Cerami Restaurant, which has been awarded two Michelin stars. 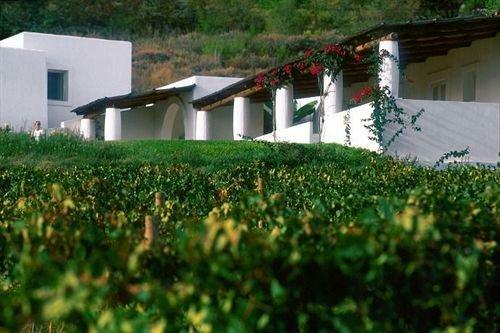 The Capofaro Malvasia & Resort is located in Salina, an island in the north of Sicily. This is the greenest island in all of Sicily and has a really casual vibe as it’s not too crowded over with tourists. If you love being surrounded by nature, this is perfect as it has a diverse range of foliage, from fig trees and herd gardens to prickly pear trees. The resort also has a swimming pool which faces towards the sea, and it has a bar and restaurant as well. 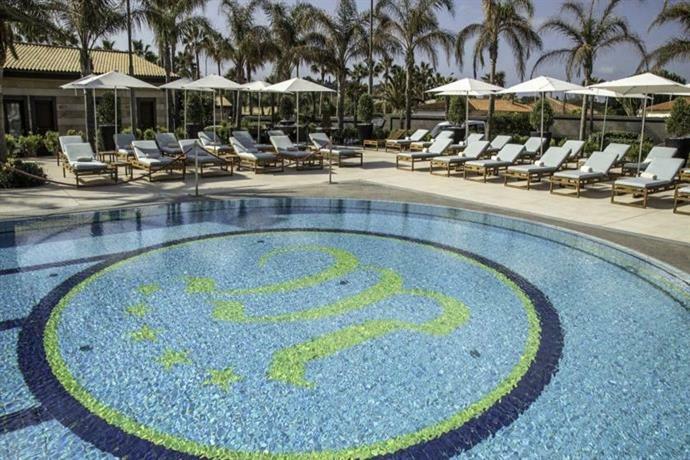 The resort also comes with an infinity pool, tennis court, and a massage room. 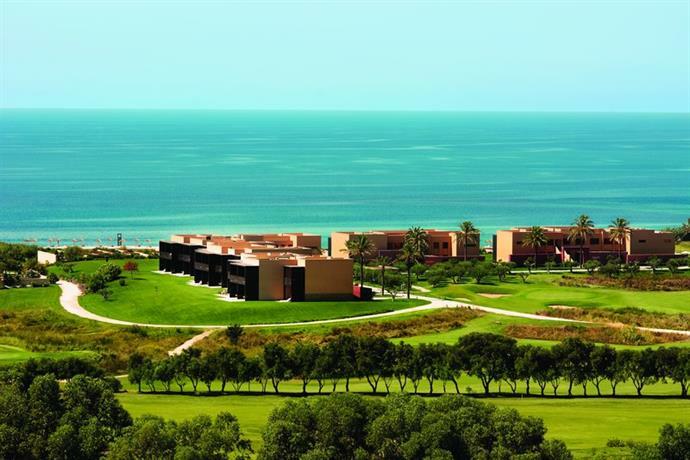 The Donnafugata Golf Resort & Spa is a 20 minute drive from Comiso International Airport, and as the name suggests, it’s known for its golf course. If you’re staying at this resort you must also visit the Donnafugata Castle, which is a national heritage site, and features some truly stunning views. The resort has the best Spa in all of Sicily. It’s 900 square meters in size, and it’s been dubbed "Favourite Overseas Day SPA” by Conde Naste Traveller. The resort also offers various other relaxing amenities such as an indoor pool, and a hydro massage. 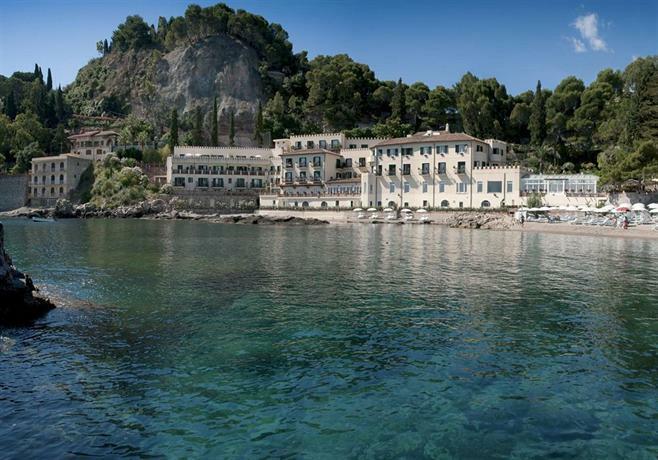 La Plage Resort is located within the Isola Bella Nature Reserve, which is a Natural Conservatorium in Taormina. This resort is located directly on the beach, and is a mere few steps from the cable car system which can carry you up to the town of Taormina. This is an eco-friendly resort and likewise it’s surrounded by lush green trees and foliage. The resort also comes with a jacuzzi, Turkish bath, and treatment centers for some relaxing massage therapies. The Therasia Resort Sea and SPA is located on the Isola di Vulcano waterfront, and is quite close to the Vulcano Porto town center. 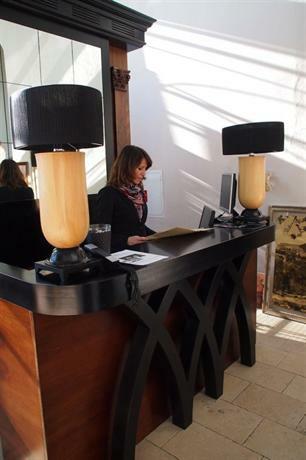 The resort is bright, allows plenty of natural light through glass walls, and has been decorated in a modern and minimalist style so as to enhance space. The rooms in the resort offer views of the sea from the balconies and some of the resorts even have hot tubs in the terrace. 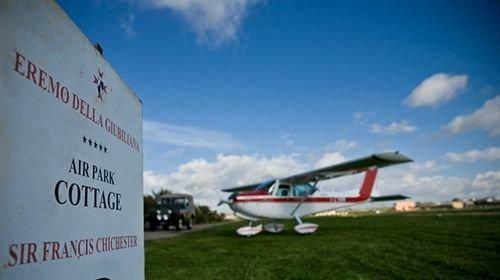 You can even get a shuttle service to take you to the town center if you’d like to do some exploring. However, you can very well stay in the resort throughout your trip. They have a lovely restaurant as well, which comes with a sea view, and they have a poolside bar as well, along with a heated pool, and a hammam. 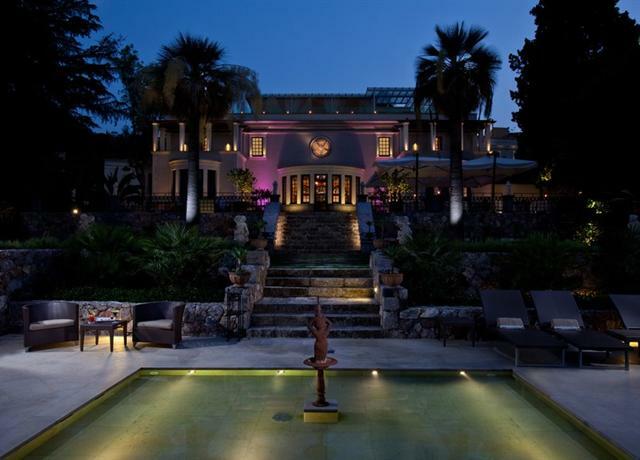 The Villa Neri Resort & Spa, as the name suggests, is an upscale spa resort. It’s located in the perfect spot from which to get a perfect view of Mount Etna. The resort has been designed in the form of a low-rise residential villa which further adds to a homely feeling, and in case you’re into golf, the Il Picciolo Golf Club is just 8kms away. The rooms have been designed in a sleek and modernist style, and they all feature their own private patios. Depending on the rooms you take, you can either get a view of Mount Etna, or of the Bay, either way the view is stunning. 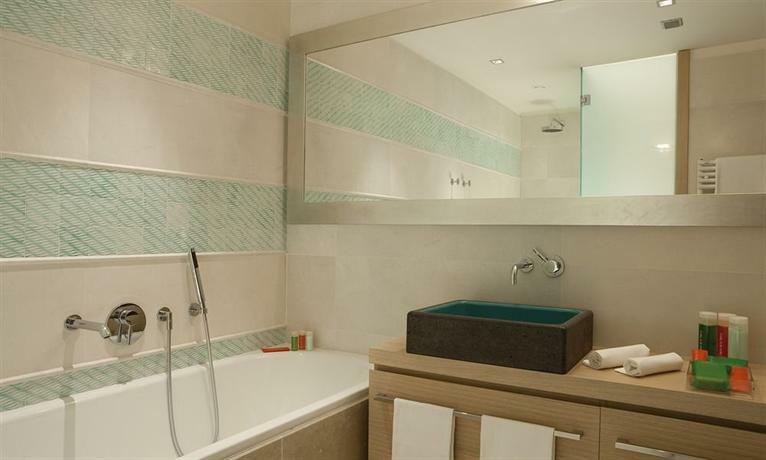 The higher-end rooms also feature their own whirlpool tubs. The Grand Hotel Minareto is a beautiful resort in the Plemmerio Marine Nature Reserve, and as such it’s green and eco-friendly. It’s located on the beach itself, so you can very easily while away your days admiring the sun set over the horizon or taking a swim in your own backyard. Sites such as the Temple of Apollo and the Greek Theater are 10kms from the resort. The resort also features a jacuzzi, and indoor/outdoor gardens. The Relais Santa Anastasia is a resort located in an area that used to be a Benedictine abbey, and it’s appropriately surrounded by vines, and other lush greenery. The resort is a mere 4.1 km from the Tyrrhenian Sea. The resort also comes with 2 restaurants, both unique in their own rights, and as such you don't have any necessity to go out of the resort if you don't want to. There’s also a reading room with a fireplace, an outdoor pool, a jacuzzi, and a massage room. The Eremo Della Giubiliana Hotel Ragusa is a beautiful resort located in Eremo della Giubiliana in Ragusa, and it offers a very unique look at the island of Sicily. 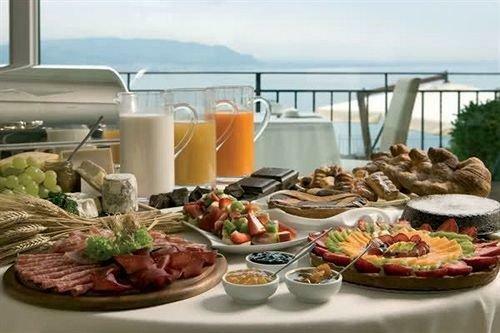 It’s an eco-friendly resort and you can eat lots of great organic food in their cafes. It’s located in a spot with a lot of historical relevance and as such it’s interesting to explore the sites and talk to people and get to know its history. The resort offers activities such as wine tasting, and it has massage rooms, jacuzzi, and other luxury amenities as well.